We've been honored to have been featured in many publications over our years of photography. We've featured a few of our favorites below. "We decided to marry on Election Day. A few weeks after, Chen proposed to me hilariously right before a wedding photoshoot we were modeling in. Our wedding ceremony was on Jan 20th, Inauguration Day. We wanted that day to be a positive memory and the beautiful and historic San Francisco City Hall was a perfect location. Our small wedding party prepared at The Inn San Francisco, which is where we spent our first Valentine’s Day together. It’s a lovely Victorian bed and breakfast that is very LGBT friendly. The decor is lush and their breakfasts are quite a large spread, the biggest I’ve seen! They make their quiche fresh every morning, along with pie. We decided on having a non-religious ceremony at SF City hall for multiple reasons, the main one being that it is simply a gorgeous building full of history, rich detail, and a perfect match for our aesthetics. Each of us wrote our own vows. Our officiant Tom was so charming! He managed to strike a beautiful balance between levity and gravity. was being made despite recent events. We had lunch afterwards with our small wedding party at the Palace Hotel. 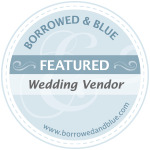 The venue is gorgeous and again, was a perfect match for our tastes." This styled wedding shoot was a collaboration between a bunch of Harry Potter loving vendors and one very dedicated coordinator who hadn't read a single book or seen the movies. The woodland colors and motifs were inspired by the Marauders Era of Harry's father James Potter and his best friends growing up in the 70s in the UK. We wanted to hint at subtle homages to this fandom rather than an outright theme. We used antlers to represent James, as his nickname is Prongs, hand carved wands as table settings, Hogwarts letters around the fire, antique furniture, and even an incredible rustic spread of food to represent the Hogwarts feast. The stunning lace dress had a vintage feel that we though looked perfect on our witch bride, and the jewel toned burgundy suit would be any dapper wizard's dream. Though this late October day was a sunny 105 degrees, we used shade and lighting to achieve the cool overcast atmosphere that reminded us of London. Our incredible stylist was cutting our groom's hair on site, giving him a stylish do, and once we placed the round iconic glasses on his nose, we told him he wasn't allowed to take them off. Our bride looked perfect with forest green eye shadow and as stunning braided updo, and together the couple looked the very picture of a stylish wizard family. With the Beauty and the Beast movie coming out, a team of Disney loving wedding professionals got together to bring the movie to life! We had so much fun combining the movie version with little bits of the animated version and putting it into one,. Together we brainstormed and thought: what would Belle's wedding day look like? The outcome was right out of a fairytale! We wanted to showcase our love for all things Disney with a shoot that captures the dark romance of Beauty and the Beast. Our model that portrayed Belle is actually Belle at Disneyland. It doesn't get more authentic than that. She had Belle's look and mannerisms down, down to the princess gestures, and it reflects in the shoot. Lobo Castle was the perfect location for Southern California's version of Beast's castle, tucked into the beautiful hills of Malibu. Their stunning dining table was the perfect place to "Be Our Guest." The table settings, candles and books from the castle library incorporated all the things we love about the movie. And we couldn't help but include the single rose with its falling petals. The love of Disney has impacted our vendors greatly. From having Disneyland proposals, Disney inspired weddings themselves, to working at the Happiest Place on Earth. This was a collaboration that came close to our hearts and we cannot be more thrilled to share it with you. As an added Disney touch, see if you can spot the hidden Mickeys!